Medium (8-10) - $33.99 Large (12-14) - $33.99 Only 7 left! We’re jealous of cats because no one ever asks anything of them. Look at every other domestic animal and they’ve got at least one job to do. Dogs herd the sheep and protect the home. They’re basically genetically programmed as man’s best friend and work to please our every need. Cows make milk and cheese for us while chickens lay eggs at an almost alarming pace all so we can enjoy the perfect cheese omelette in the morning. Even pigs have an important job to do in order to make that breakfast moment especially memorable… though in case we have any pig readers, we figure we’ll skip the details for the moment. But what do cats do? They stretch and sleep in front of the stove all morning. They get bored and turn the sofa into ribbons with their sharp hook claws. They do their evil business in a special box made just for them. Sure, they’re handy for keeping the mice away, but they do that because it’s their nature, not because they’re told to. Knowing cats, if they knew pest control was expected of them they’d put out treats for the mice and give them little back massages just to spite us. In fact, that was definitely featured on a Tom & Jerry episode. You’ll probably never be a cat, but at the very least you can be a cat-person. 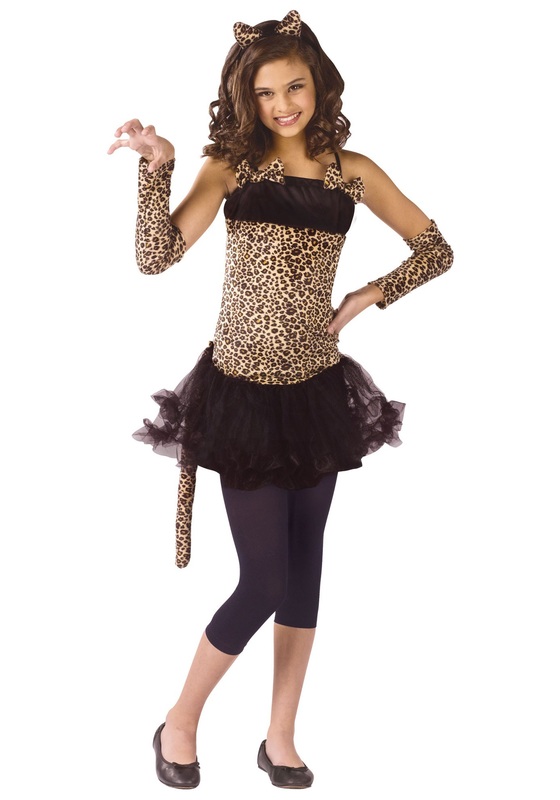 This Wild Cat Costume has the leopard print dress and velour tail, the kitty ear headband, and the tights you need to bring out your feline charm. If someone buys you this costume as a gift, it’s appropriate to give them a mouse or small bird as a token of your appreciation. That’s called cat manners.